Let’s help 11-year old Jaiden Henry collect and send words of support and encouragement for a courageous hero that was paralyzed in line of duty almost 3 years ago. We would love any support to make Office Tim Jones smile even bigger by challenging others to write or send some positive words to let Office Tim Jones know we have not forgotten about him and are supporting him along his journey! One small act by many can make a amazing impact on another’s life. Be a part of this amazing project and join us! More background about Office Tim Jones’s story can be found here! You can send a message and share the post on Facebook and get others connected by asking them to take a few seconds and post a positive message. Click here or above to Facebook Page All messages will be hand written and included in cards to Office Tim Jones! Thank you for any support is sharing his story and positive words of encouragement! Still collecting birthday cards for World War II Army Veteran Harold Brosowske. His birthday was February 25th 1919, which would make him 100 years young this year! We are asking schools, clubs and sports teams and families to create cards to share with this amazing hero who served with the 86th Battalion in Texas during WW2. He has an amazing family that he is very close with and loves to spend time with. When Kid Possible Worldwide heard and made contact with Harold’s wonderful granddaughter, Becky Yaworski about his birthday we knew we could connect others to bring even more smiles to this veteran’s special day! Collecting items to Support SocialWorks and All Kids Matter Taste for the Homeless event in January and “A Night at The Museum” event in December! We have put out the word and helped collect over 16,000 hats, gloves, scarfs, socks, blankets and more to help with The Taste For the Homeless event! We are all doing our part to help keep others warm during the cold winter season. 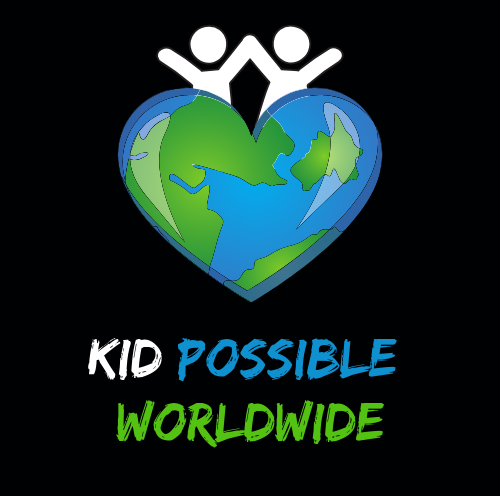 Kid Possible Worldwide took on the challenge to help 10 year old, Jaiden Henry with his 5th Annual Toy Drive, and filled the truck with toys for kids in the hospital and military kids in need. Many kids are left out this holiday season but for 5 years in a row, Jaiden is doing his part and surpassing his high goal bringing smiles to 2,000 kids helping 2,600 kids 2018 holiday season! There are many ways to join us and be a part of bringing smiles to the faces of very deserving children! Donate any amount to go towards purchasing gifts for children not yet adopted out. The Mission Continues, One Savvy Veteran, Chicago Veterans, Kids Rank, Remaking the World(RTW Vet Center), All Kids Matter Foundation, It Takes Lives to Save Lives, St. Joseph Hospital, Ronald McDonald House, Christ Children’s Advocate, Morris Hospital and more! From the bottom of our hearts we thank everyone who took the time to be a part of successfully helping 2,000 kids in the previous 4 years! Toys are needed so we answer the call! Intergeneration’s coming together as one to give back to our nations heroes!